In my Father’s house are many homes. If it weren’t so, I would have told you. The very foundation of believing the promise that we have a place in our Father's house is trust. Jesus' heart's cry is... trust in My Father and trust in me too! It is amazing to think that each one of us, who has called on the name of the Lord, has a place already prepared in heaven. 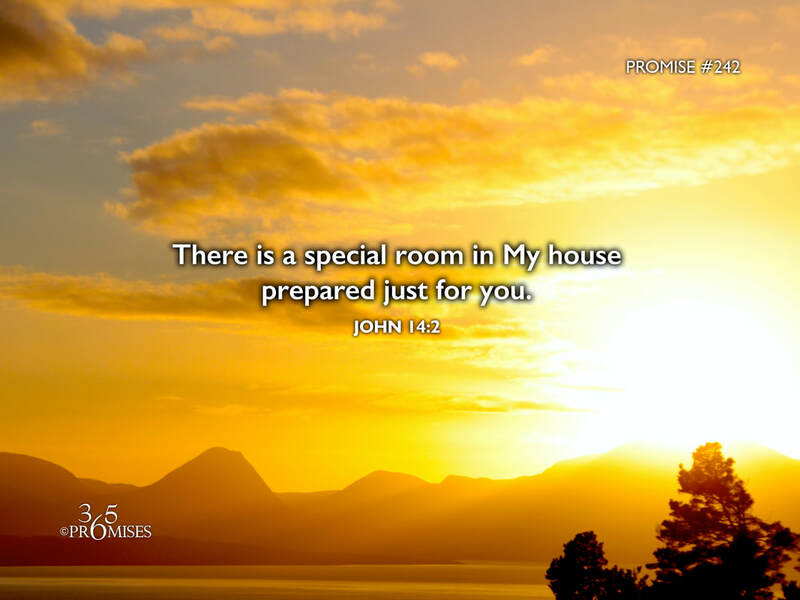 No matter how unstable this world system gets, we already have a home prepared for us and Jesus promises to one day receive us back unto Himself so that we can be with Him where He lives for all eternity (John 14:3). Where is this special room located in heaven? The KJV version of John 1:18 says that Jesus declared the Father right from His bosom. If we are to be where Jesus lives, I believe that each one of the rooms in our Father's house is located in the center of His heart! What a glorious promise! We will live forever with Jesus in the very bosom of the Father! May this promise bring comfort and hope to our hearts today no matter what trials we are facing.